So before I indulge myself in soups and yogurt diet tomorrow, I'll squeeze this progress post on this particular project. It's coming along really well. I went there the other day to install artworks, window treatments, and check for last minute touch-ups. These rooms will be done very soon. You can see the "before" and the moodboards on my previous post. The wall looks plain from afar, but it's a very simple wallpaper just to add some texture to the wall. The goal here is to freshen up the space with colors so a neutral backdrop is a must. 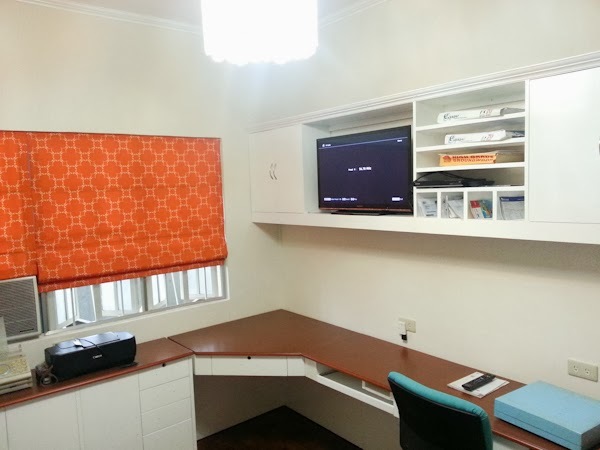 Their existing desks were refinished, and we built the top cabinets to house the tv and misc office items. The orange roman blinds will complement the soon to be delivered newly upholstered blue sofa bed. 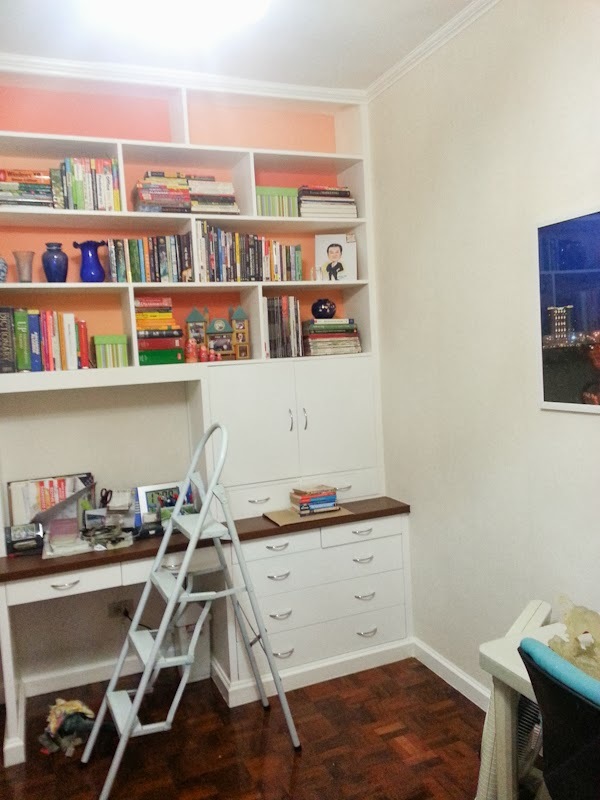 This massive desk / storage / bookshelves were custom built to house all their books and add much needed storage. 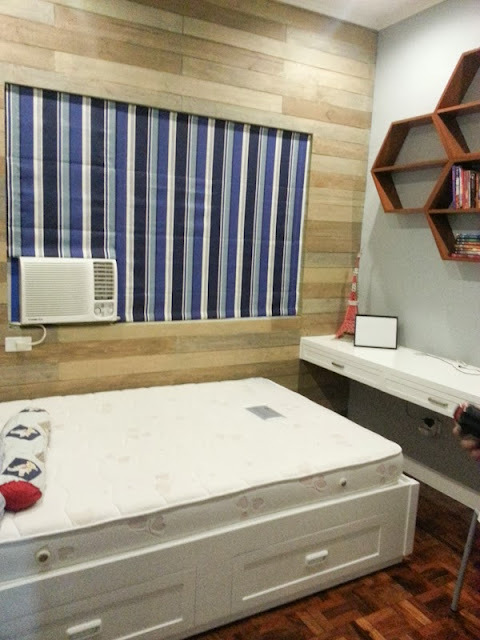 Love the contrast of the horizontal neutral wood planks and the vertical bold blue blinds. It will go well with the navy bedding we'll add later on. 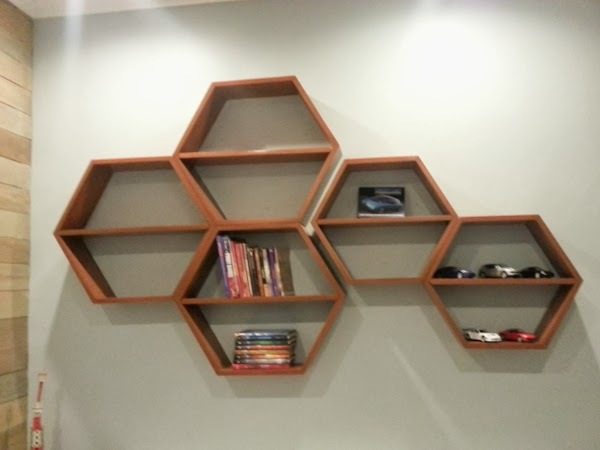 Above the custom desk is this hexagon shelves for their son's books and car collection. Love that the shelves could all be empty and will still look like wall sculpture as is. No need to over style. 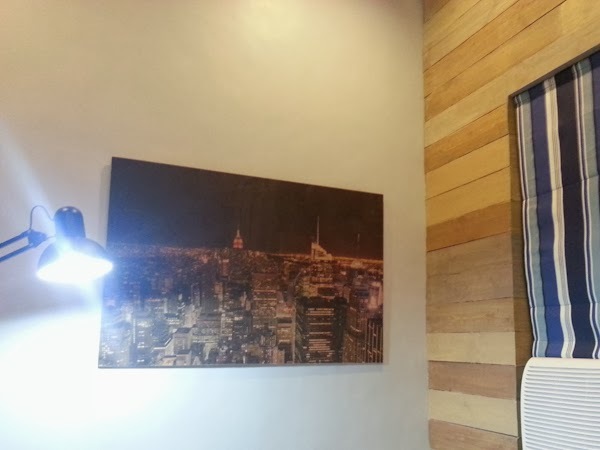 Their son wanted a night cityscape as his artwork so I had this printed on wood to still have that rustic feel to it. It goes so well with the accent wood planks.